Fonts for the Poor! Fonts for the Poor! ~ Android Forever! Fonts for the Poor! 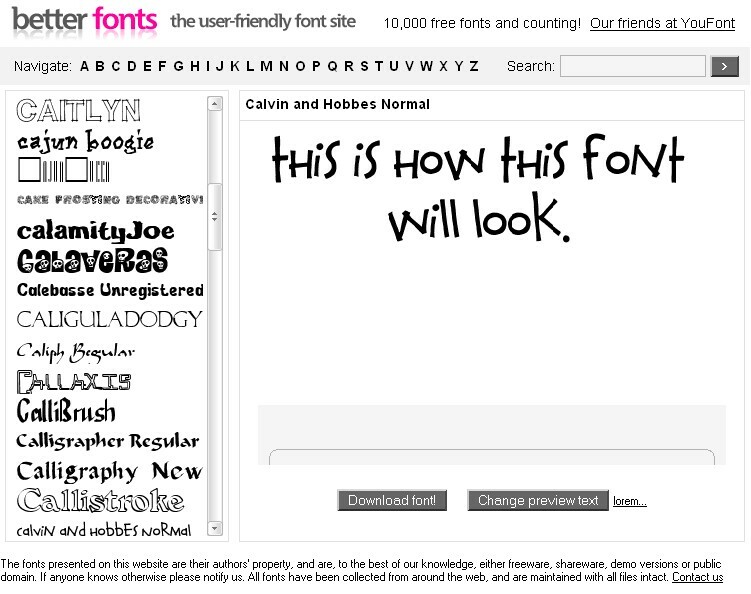 Fonts for the Poor! Get it? Like, "Alms for the poor"? OK, forget it then. 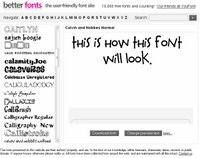 If you get tired of Times New Roman and Arial, here's a site that will let you, safely, peruse and download fonts that strike your fancy. When you dowload the font and extract it from the zip file it comes in, you can open your Fonts directory from the Control Panel, then drag and drop the new font into the Fonts directory, which will automatically install the font to your system. Caution: Don't go hog wild. Too many fonts can cause your machine to get bogged down. Click here to visit Better Fonts.